About College : Founded by Smt. Shakuntala Educational and Welfare Society, Galgotia Educational Institutions is currently led by Mr. Suneel Galgotia, Chairman and a resolute visionary. Galgotias College of Engineering & Technology is placed among the best in professional education in U.P. 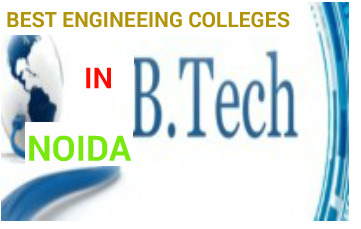 About College : Noida Institute of Engineering and Technology, a self financed Institute offering high standard quality education to students from all corners of the country is situated in Greater Noida (a hub of global MNCs). It was established by eminent visionaries, responsible for setting up City Educational & Social Welfare Society of Meerut, with a vision to provide value driven education of global dimensions. About College : The purpose of education has always been to enable a man to develop his intellectual powers to the full so that he may grasp the significance of any situation that arises, that he may know the difference between right and wrong and contemplate on the divine mysteries of nature. About College : To impart value based quality education for students on multi disciplines which can enable them to contribute their knowledge in industrial development, technology revolution and economic growth of the nation with global perspective. About College : To impart Quality Education, to give an enviable growth to seekers of learning, to groom them as World Class Engineers and Managers competent to match the expanding expectations of the Corporate World has been our ever enlarging vision extending to new horizons since the inception of Dronacharya College of Engineering.